Anyone who has visited Peru will tell you that it’s a country with one foot in the past and one in the future. Lima, the fifth largest urban hub in Latin America, is home to roughly 10 million people — a third of the total population of the country — and has a skyline rippling with skyscrapers, a globally recognized nightlife and restaurant scene, and a growing tech community. However, take a bus or train an hour in any direction and you arrive in a different world, where ancient cultures and customs are cherished. Despite having one of the fastest growing economies in Latin America, Peru is struggling to modernize as fast as other Latin American countries like Chile, Argentina, Mexico and even Colombia. Still heavily reliant on mining, Peru invests only 0.08 percent of its GDP into technology and innovation today, which pales in comparison to others. However, that is not to say that change is not on the horizon. Peru is home to an engaged startup and entrepreneurial community, which has the full support of the government – initiative StartUp Perú plans to provide funding to more than 350 local startups by the end of 2018. The bedrock for a solid startup ecosystem lies in education and a flow of highly trained technical talent. The district of Barranco, on the outskirts of Lima, is home to the University of Engineering and Technology (UTEC), an award winning campus considered to be one of the most modern in Latin America for its advanced infrastructure and technology, which is estimated to have cost as much as $100 million USD to build. As part of UTECs mission to create a ‘Silicon Barranco,’ the university has already made partnerships with leading American colleges such as Harvard and MIT, and features high tech technology labs designed to boost innovation from students and local startups. “In UTEC we want to draw the attention of the most talented boys and girls from Peru, who want to learn engineering and technology, and I’m proud to say we are succeeding,” said Eduardo Hochschild, founder of UTEC. While UTEC is the main technical powerhouse, other universities are trying to mark themselves as innovation centers too. Universidad del Pacifico has gained a reputation for supplying a steady flow of tech talent, and San Martin de Porres recently established a partnership with Andes Accelerator and has hosted hackathons with corporate partners such as Belatrix, featuring hundreds of homegrown Peruvian developers. However, while acknowledging that Peru has a “thriving” IT industry, the Neo Group, an organization that compares and analyzes different regions and countries, notes that Peru is already showing signs of a dearth of technical talent. To combat this, a number of organizations such as Laboratoria, a coding school aiming to give females a foot up in the tech world, and Brain Friendly, an android developer bootcamp, are popping up in Lima offering alternative routes for young people to get involved in technology companies. A steady flow of technical talent is great, but hard to capitalize on if a country lacks a startup support network to reel people in, spark an interest, and help formulate great ideas into great products and companies. One of the most well respected organizations in Peru is UTEC Ventures, a business accelerator that is part of the entrepreneurial department at UTEC. After starting in 2014, the incubator and accelerator now has more than 50 companies in its portfolio, and regularly holds events for students, startups and the public, to educate and inform them about startups and innovation. Wayra Peru, a corporate accelerator by Telefonica launched in 2017, provides up to $50,000 USD in funding, access to an accelerator program in Lima, and access to a wide network of global partners, mentors and experts. However, to motivate smart young minds to start projects and create copanies, you first have to teach the community how to do so, and offer them positive examples from inside and outside of the country. In partnership with Cofide and Fomin, UTEC held the first Peru Venture Capital Conference in June 2017. The two-day conference focused on community building, facilitating cooperation between corporates and startups and highlighting the need for further angel investment and venture capital in the country. Global startup organizations have also started to lay roots too. The Founder Institute opened a Lima chapter back in 2013, and has been running four-month step-by-step startup launch programs ever since. Techstars has also run a number of startup growth and community events in Lima and Tacna, and this year will launch the first Startup Weekend Women event in Lima from March 9th-11th. One can only hope that big players moving into the Peruvian space, will inspire more action from other global and local organizations, too. Community building is important for the successful growth of a local ecosystem, as it brings startups, thinkers, and movers and shakers together to learn from one another, communicate learnings, and to cooperate. 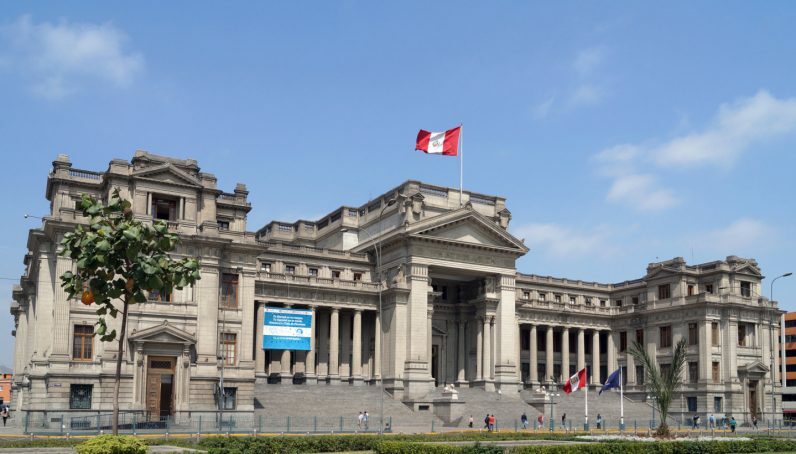 While private organizations are doing a great job of installing startup culture and inspiring young minds, the biggest push to date comes from the Peruvian government itself. Since taking office, the current President Pedro Pablo Kuczynski has attempted to foster a pro-business environment, and has promised that investment in science, technology and innovation will be a priority of his administration. As a means of reducing the country’s dependence on mining, the Peruvian Ministry of Production wants to increase investment in innovation by ten-fold over the next ten years. “Government support for small to medium sized businesses, and in particular tech startups, has improved dramatically over the last five years, but President Kuczynski has a lot to live up to in following the exemplary work of previous administrations,” said Colin Post, founder of Peru Reports. President Kuczynski has a tough job in following the exemplary work of previous administrations. Back in 2012, the Peruvian Ministry of Production initiative launched Startup Peru to support local startup growth and innovation. In 2017, Startup Peru received 837 applications for seed funding, and was able to support 106 ventures with a total of $153,000 USD in funding. A similar program, Innovate Peru was launched by the Ministry of Innovation in 2014. Aside from offering access to innovation labs, the organization helps startups secure funding through dozens of specific government-backed funds, and also facilitates cooperation between startups, corporates and government bodies. For example, last year the Peruvian Ministry of Production announced the launch of Reto Bio, a program that promotes innovative projects linked to making the most out of Peru’s abundant natural resources. Partnering with Innovate Peru, the Ministry has put aside $3.4M to fund startups and projects linked to biotech, agrotech, and foodtech. The regional government in Lima has also partnered with the prestigious MIT Regional Entrepreneurship Acceleration Program — a two-year program that brings together local government, educational organizations, investors, entrepreneurs and corporate players in the aim of strengthening the local business and innovation ecosystems. The government is aware that it falls well behind many other countries like Chile and Argentina when it comes to nurturing its startup ecosystem, but it is determined to make up for lost time by learning from the failures and successes of its neighbors. While seed funding is available through a handful of accelerator programs, or government backed funds, access to private funding from VCs and angel investors is still hard to come by in Peru, which is creating a local “A round crunch.” Without this funding, there are limited opportunities for Peruvian startups to scale across the rest of Latin America and the world. In an attempt to woo local investors into loosening their purse strings, the Ministry of Production rolled out a public contest in 2016 to raise capital for potential VC funds. According to RPP Noticias, the government offered to contribute as much as $2.25M to funds which offer high-impact proposals, contributing around $500,000 USD to 10 funds or more by the end of 2018, and scaling to more than 50 funds over the next five years. Some argue that local investors still view startup investments as being too risky, due to a lack of experience in and exposure to startups, and they prefer to stick to safer bets like real estate. However, with the government offering to bulk out private funds with public resources, hopefully forward thinking VC’s will soon begin to jump at the opportunity. As is common with early stage ecosystems, another missing building block is mentorship. In its Peru MIT REAP profile, experts highlight the core challenges as a weak local venture financing community, a lack of mentorship networks, a need for better tax and visa incentive programs from the government, and a culture of risk aversion from entrepreneurs and investors alike. Solving these problems leads to a chicken and egg situation. In more developed ecosystems, where more startups are growing successfully and exiting, founders are then jumping back into their local communities to help grow other companies, and coming up with new ideas. The publicized success of these companies inspires more people to launch companies, and more investors to back them. This next wave is still to come in Peru. In recent years, Peru has only had one unicorn, Cinepapaya, which was recently acquired by Fandango. As more local success stories emerge, we are sure to see Peru establish itself as a startup competitor in the region. For now, all of the base ingredients for a thriving ecosystem are on the table, we just need more cooperation between the government and local players to turn them into an amazing dish.